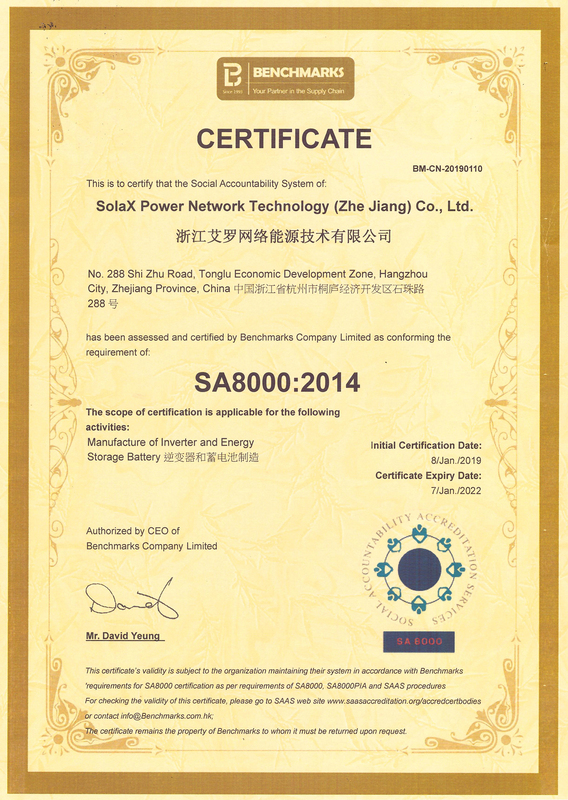 The SolaX vision is to be a world leader in the development, production and distribution of solar inverters. The product range incorporates the very latest in solar innovation thanks to the continued focus on R&D and unceasing commitment to pushing back the boundaries of what is possible – a journey that has led to the launch of the ground-breaking X-Hybrid solar battery storage system. Solax Smart Inverters – Simple, reliable, efficient! SolaX has developed a broad range of Smart inverters. The Solax single phase inverters are unrivalled in the industry for their quality, reliability and efficiency. They boast a wide MPPT voltage range to allow for more energy harvesting and have a maximum input voltage of 580V, with a maximum efficiency of 97.6%. In addition, SolaX single phase inverters are IP65 rated, have no internal fan and come with optional ‘plug & play’ WIFI.